The Texas Water Development Board is crafting the state's first-ever flood plan, which will take a comprehensive look at flooding vulnerabilities across the state and the projects that might mitigate them. For 60 years, the Texas Water Development Board has been the keeper of a master list of projects that are supposed to meet the state's water needs for the next half century. But the latest list the agency is compiling is not about supplying water — it's about managing it. Earlier this year in the wake of two major floods that crippled communities across the state — and just months before the remnants of Hurricane Harvey dumped a historic amount of rainfall on southeast Texas — state lawmakers voted to give the agency $600,000 to create the state's first-ever flood plan. The document will broadly evaluate statewide flood risks and detail projects local governments want to pursue to mitigate those vulnerabilities with suggestions as to how the state could help fund or finance them. “What we are doing over the next year or so is a desktop assessment of who is doing what, what are in the local plans [and] how much is it going to cost,” said Robert Mace, the water development board's deputy executive administrator. The water development board aims to complete the plan before the Legislature convenes in 2019 so lawmakers will have official guidance as they decide which local projects to support. 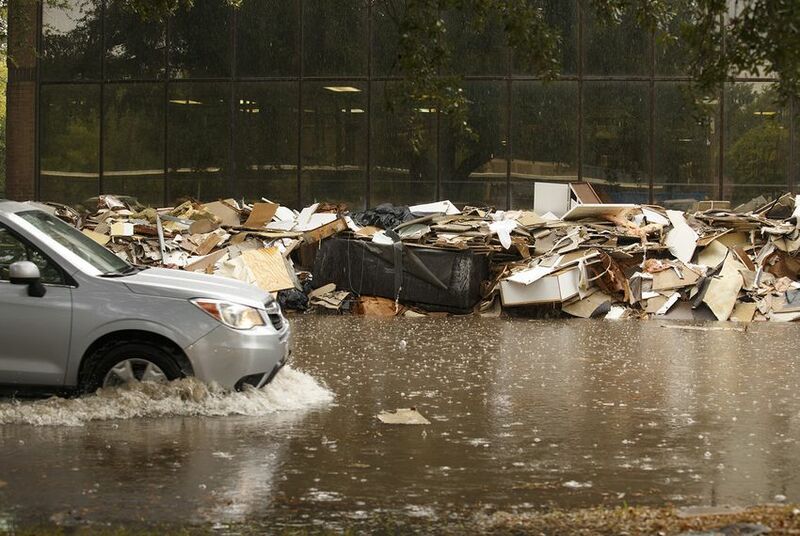 While the Legislature approved funding to develop the plan pre-Harvey, Mace said the widespread flooding the storm inflicted on the state underscores the urgency to have a comprehensive document with input from a broad range of voices involved in flood management. He said the agency will soon begin reaching out to municipal and county governments, planning authorities and citizens to learn about their respective local flood strategies and to identify future infrastructure needs to reduce flooding damage. “It will be interesting to see: Are people on the same page or not in terms of what they would like to see from the state in terms of flood planning and flood policy?” Mace said. Last year, the water development board gained authority to expand the scope of a low-interest loan fund to include more stormwater infrastructure projects. It now has half a billion dollars in loan capacity available to finance such proposals. The kind of bridge financing the agency provides could prove useful as Harvey relief dollars are not expected to come in for months or even years. Gov. Greg Abbott said Friday he might consider calling a special session to disperse money for flood recovery and prevention costs but also that any approved funds would only cover a “fraction of the costs” of longer-term flood prevention needs. In the Houston area, local officials are now discussing a variety of flood control projects that have been delayed for years, such as a third major reservoir to detain floodwater as it travels downstream to the coast. They're also renewing their support for the construction of a physical barrier along the coast to protect from devastating storm surge during hurricanes, noting that Houston dodged a bullet with Harvey, which made landfall farther down the coast. The "coastal spine" project, under review by the U.S. Army Corps of Engineers, is estimated to cost some $5.8 billion for the Houston area alone and at least $11 billion for the entire six-county coastal region. State and local leaders say the federal government ultimately would have to foot the bill for such a project. The chairman of the water development board, Bech Bruun, said during a panel discussion late last month at the Texas Tribune Festival that the agency could help finance such a venture, although he said someone would have to be on the hook for paying it all back. “It’s important that we’re providing this financial assistance with the assurance that these are loans that will be repaid, so who is the underlying borrower that’s pledging that security to do so?” Bruun said. As water development board staff works on the flood plan, Mace said they will ask local officials if they'd like to see the state create a permanent funding stream to support flood control projects and if so, what such a program would look like and how projects should be ranked. The total price tag of the flood plan will surely be in the many billions of dollars. And compiling a list of such needs, both large and small, is sure to invite broad policy discussions about how the state wants to approach future flood planning, Mace said. There are many approaches the state could take after the plan is presented to the 2019 Legislature, but he said one thing is certain: “Flood risk is not going away in Texas."